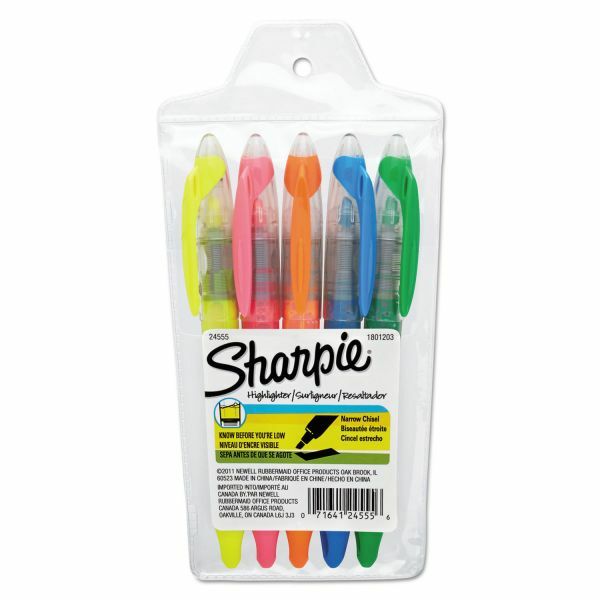 Features a visible ink supply so you never run out unexpectedly. Pigmented ink for brilliant color. 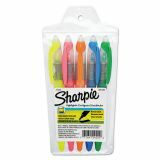 Assorted Fluorescent Ink Colors: Blue, Green, Orange, Pink and Yellow. 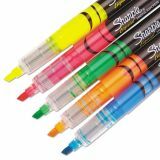 Sharpie Accent Liquid Pen Style Highlighter, Chisel Tip, Assorted, 5/Set - The Shaprie pen-style highlighters offers a versatile loop and a pen clip that will ensure you'll never lose your highlighter. Easily attach to three-ring binders, planners, bags and more. Visible ink supply alerts you before you run out of ink. 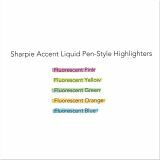 The multi-pack set offers pigmented, fluorescent ink presented in bold colors, and the smooth ink flow offers consistent highlighting. 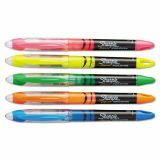 Narrow chisel tip is ideal for both highlighting and underlining. Ink is quick-drying, odorless and certified AP nontoxic. Loop feature at the end of the highlighter pen allows you to attach it to 3-ring binders, planners, bags and more.